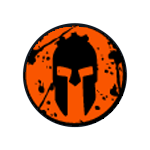 Become a member of the Spartan TRIFECTA Tribe by finishing one of each Spartan distance: Sprint, Super and Beast in 2018. MORE RACES. LESS EXCUSES. 2018: Commit to race all three distances and join the thousands of Spartan racers worldwide who will proudly earn their TRIFECTA medals this year.